Successfully Added Vnetphone V8 Bluetooth Intercom Headset - IPX5, 1200Meter, Remote Contol, 5 Simultaneous Users, Call Answer + Reject, GPS Sync to your Shopping Cart. 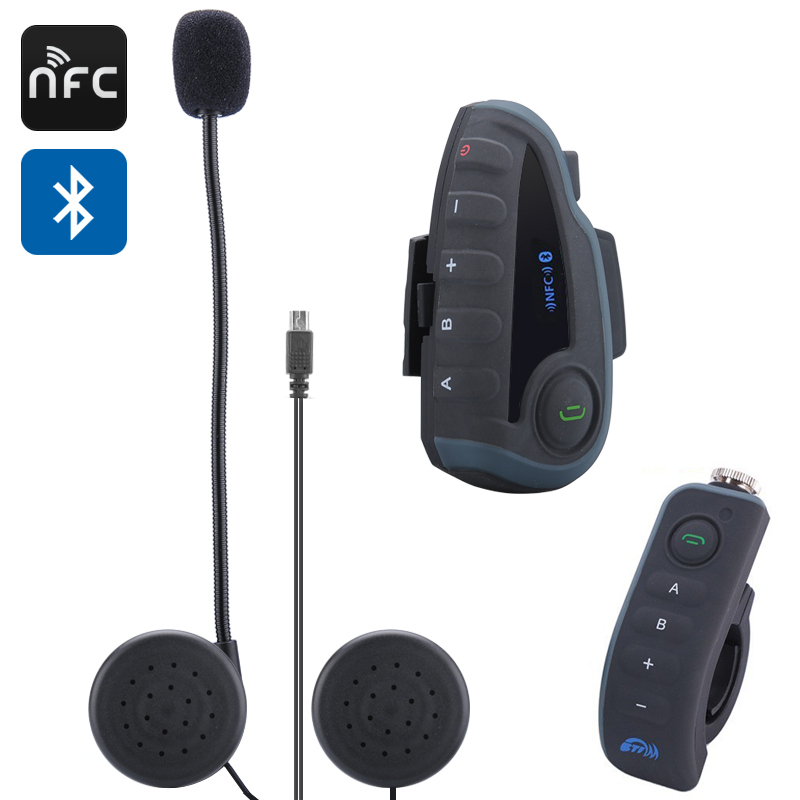 The Vnetphone V8 is one of the best interphones on the market with remote handle bar transmitter, NFC functions, up to a 1200m range and can support 5 people talking at once as well as being IPX5 rated and will let you answer or reject calls, listen to MP3 stereo quality music and receive directions from your GPS device. Coming from industry leaders Vnetphone, who have a long standing commitment to make the best quality headsets for their customers you’re bound to be impressed with the V8 model. Its not just restricted to motorcyclists and is just as beneficial to off road motoring, Skiing, hiking, sports referees, sports coaches, security personnel and a host of other uses as up to 5 people can communicate at once when using multiple V8 sets. Having NFC functions allows for the host device to automatically pair with supported NFC cell phones or other devices. Once paired it can automatically conduct identification and pair in future by just bring the two devices into close proximity. The handlebar remote control fits just as well on a waist belt, rucksack strap or in your pocket and with an effective range of 20 meters it lets you turn on and off music, connect to different rider intercoms, control music volume and track selection as well as answer or reject incoming calls. With the ability to connect to Bluetooth GPS devices and MP3 players you can receive entertainment and navigational information right into your ears, making your journey more enjoyable. This product is in stock now, we guarantee next working day shipping and offer a 12 months warranty on all our products. Brought to you by the leader in electronic devices as well as wholesale intercom headsets and gadgets, Chinavasion.